La Casa Azul está situado en el corazón de Giverny, el pueblo de Claude Monet. Esta casa pertenecía a él. Está rodeado de 1500 m2 de jardines, a pocos minutos de los museos y restaurantes. Hay 200 m2 de vida que fueron totalmente renovado en 2016, está decorado con una mezcla de muebles antiguos y modernos. Esta casa es ideal para parejas, viajeros individuales, viajeros de negocios, familias. Nos encontramos en el corazón de Giverny pero en la parte más tranquila de la parte muy turística donde los museos impresionistas y tiendas están a poca distancia son. Esto es ideal. Toda la casa es accesible, por lo que tres dormitorios dobles (uno en la planta baja y dos en el 1er piso, cada uno con su propio cuarto de baño). pero es posible alquilar sólo la planta baja, para los viajeros que necesitarían sólo una habitación (en cuyo caso el precio del alquiler será dividido por dos). la casa cuenta con tres plazas de aparcamiento privado, lo cual es interesante en un pueblo muy visitado en el verano. Muchos también viajeros residentes en Giverny para visitar París o Versalles y refugio menos, de hecho, se tarda menos de una hora en coche o en tren. Hablamos Francés, Inglés y Español. Una mujer de la limpieza que viven cerca trabajará horas extras bajo petición. Beautiful authentic family home in the heart of Giverny. We loved our week’s stay ! 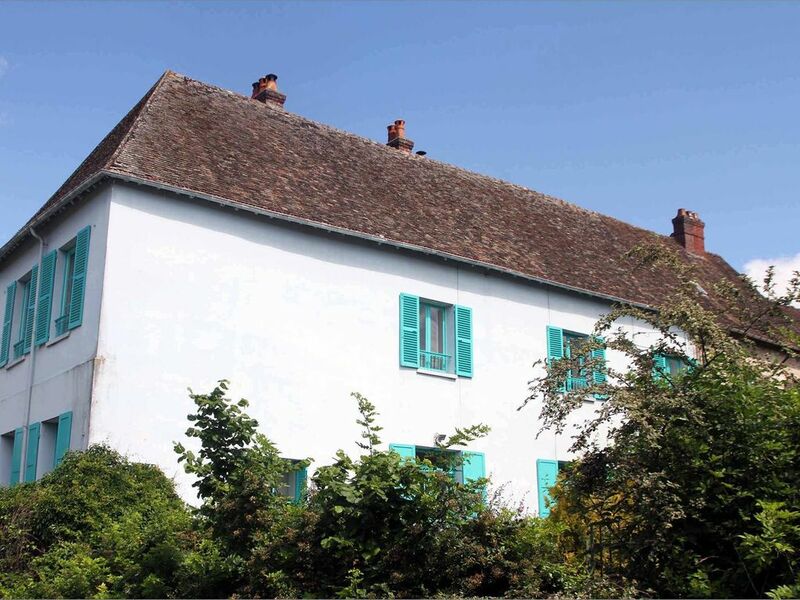 The house is charming and has great style as well as being in the heart of Giverny. We enjoyed chilling out and having lazy days aswell as venturing out by car to Paris, Rouen and Chateau Bizy. This was a dream come true. This home and location surpassed expectations. The owner was so lovely and communicative. We had all the information we needed. The property was perfectly located and equipped. The generosity of our host was so kind as it was our honeymoon. We loved everything about our stay. Such a treat to be in such a magical location. Sirius and her husband were newly wed, charming. They were very communicative and respectful of the house. Perfect guests. What can I say about the home that was the home of Monet's vegetable garden. It was expansive, memorable and everything we could have asked for. Pierre Maraval the owner was so considerate as well as accommodating. He even came all the way from Paris early in the morning to meet us at the house, do to our early overseas flight arrival. What a special place. Our daughter was married in the garden of this home in a civil ceremony performed by our son. What a special memory for us. The walk through kitchen opening onto both garden areas with "French" doors and with the country table in the center was our base of operations for so many great dinners, wine and champagne sharing times amongst family and friends. We can't thank Pierre enough for sharing his home with us. It is truly their country home based on all of the personal items in the home. Now that we are back in Michigan we look back at such a memorable time in Giverny. So walkable to the attractions of Giverny as well as a short 2.2km drive to Vernon for all our shopping needs. Hail to Monoprix market. Thank you for being such great travellers. Very much a family home, the Blue House is the weekend retreat of a Parisian artist and his family who share it when they can't be "home." It felt very much like borrowing the home from an acquaintance as it's filled with personal photos, art, and knick-knacks, and even had flowers left on the tables for us. The house is spacious and lovely and we truly enjoyed relaxing in the garden or inside. We actually canceled plans one day to stay and relax more at the house. Being in Giverny after the crowds head back to Paris (which in the summer still leaves you with a lot of daylight to enjoy it) was the highlight of our two weeks in France! The village is so quaint and beautiful! We loved our stay at La Maison Bleue, the house is stylish, bohemian and very artistic. All the rooms are very spacious and clean with plenty of separate wash facilities throughout. It has a lovely authentic feel at the quiet end of this beautiful village and was onced owned by Monet. Perfect as a venue to visit Monet's house and gardens but also we enjoyed it as a venue in itself using it as a base for a weeks holiday. I would highly recommend this property. La maison peut-être louée entière ou seulement le rez-de-chaussée pour les voyageurs n'ayant besoin que d'une chambre. Auquel cas, le prix est divisé par deux.